First up: apologies for the lack of progression posts thus far... currently undergoing a few RL changes, so hopefully I'll settle into a familiar and stable rut soon. 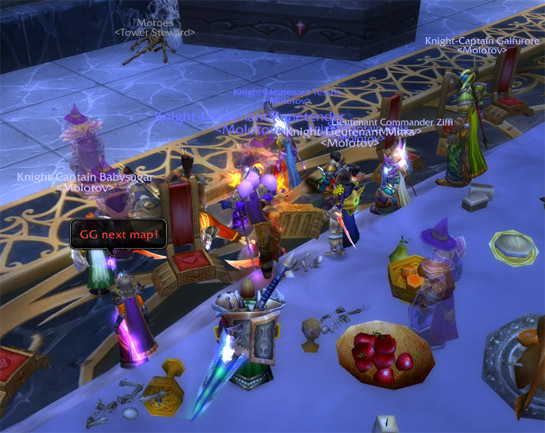 Apologies also for the quality of some of the screenies (particularly Moroes). I fail at photography. I should mention that Attumen the Huntsman goes from moderately challenging due to trash to peculiarly easy. Moroes is interesting at first, and then has a smooth finish (although I'll admit luck still plays some part on this one). Note the images of Archmage Vargoth. They are key to the strategy... you can check out any time you like, but you can never leave. And the Maiden of Virtue just isn't as virtuous as we had originally been led to believe. 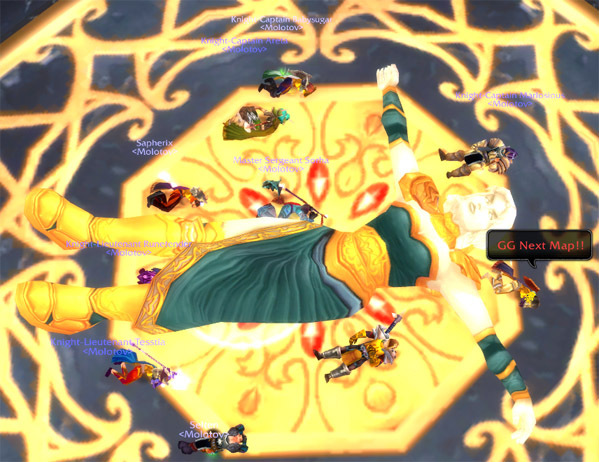 Looking for a good guild on horde-side, Kael'thas? Don't ask us. It's just there for when KG goes down. 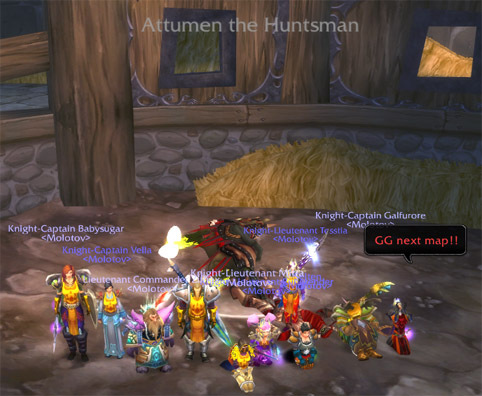 Our amazing troop of apparently nudist Blood-elf alts downs level 5 blood falcon.